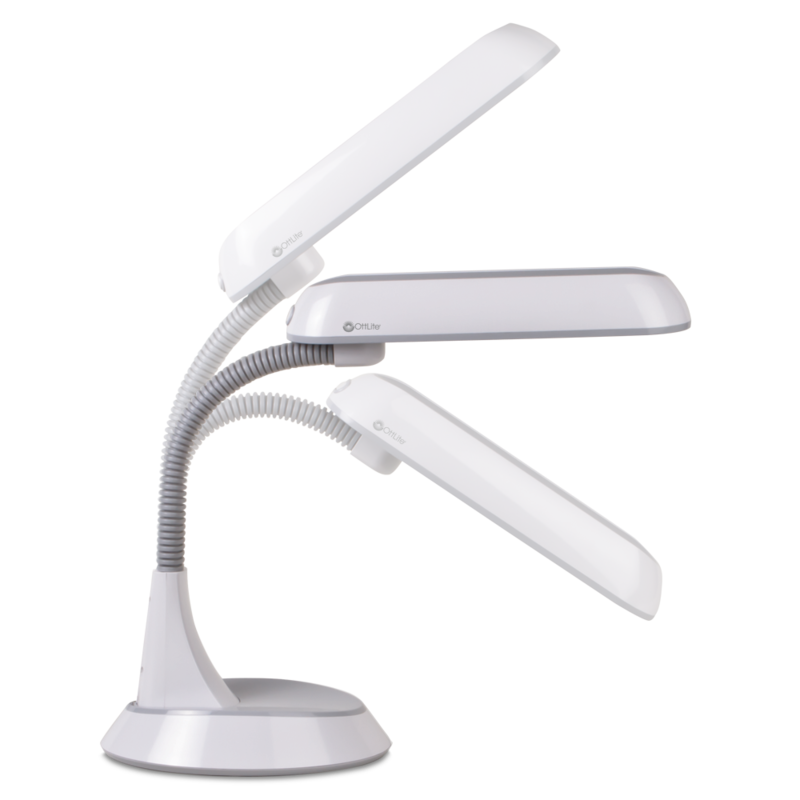 Adapted from the best-selling Floor Lamp, the 18w Table Lamp offers powerful illumination and total flexibility. 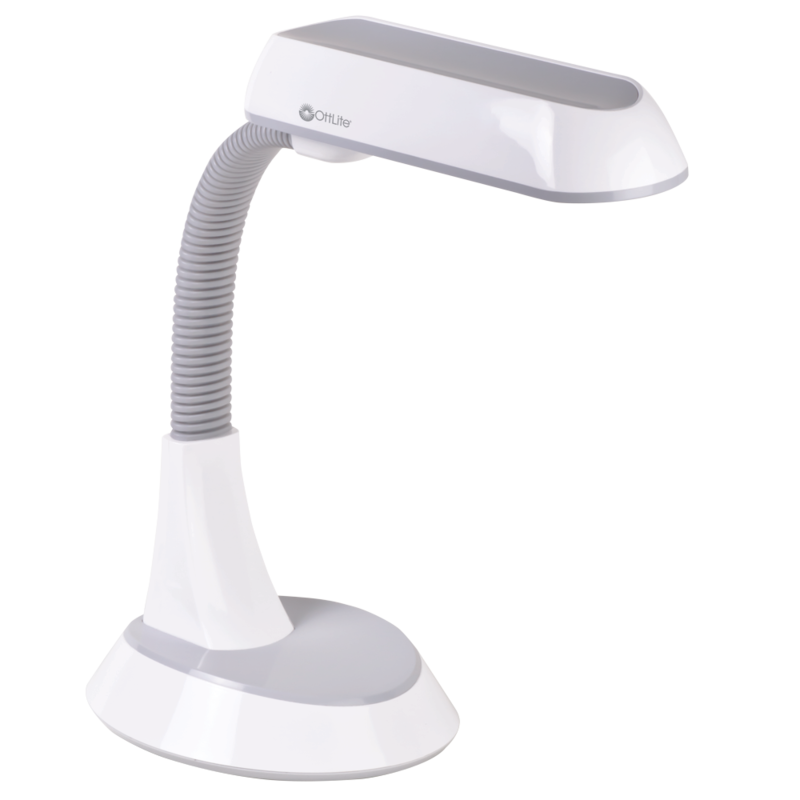 Ideal for tables, countertops and work benches. 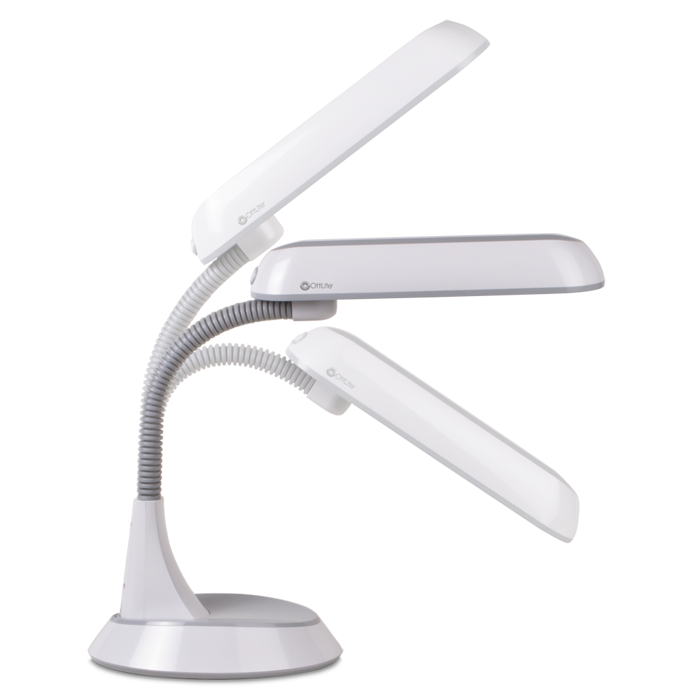 Shade height and angle can be easily adjusted with one hand using the flexible neck. 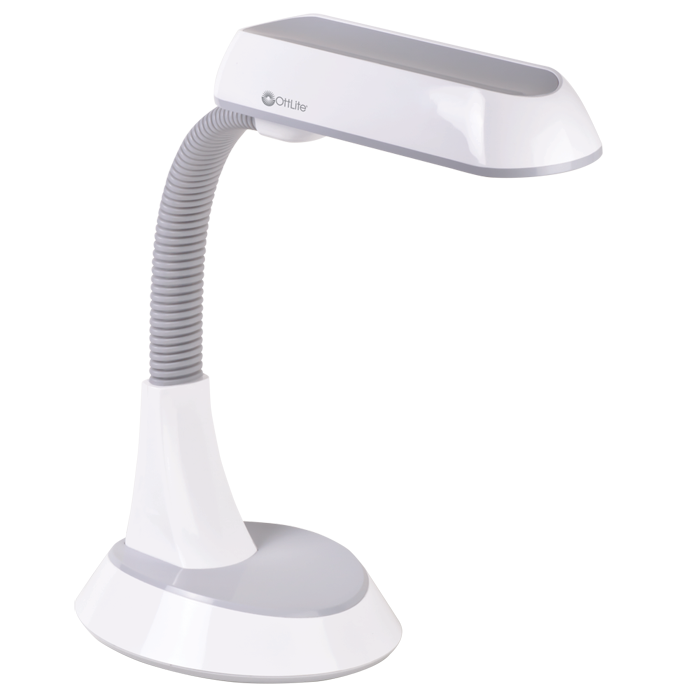 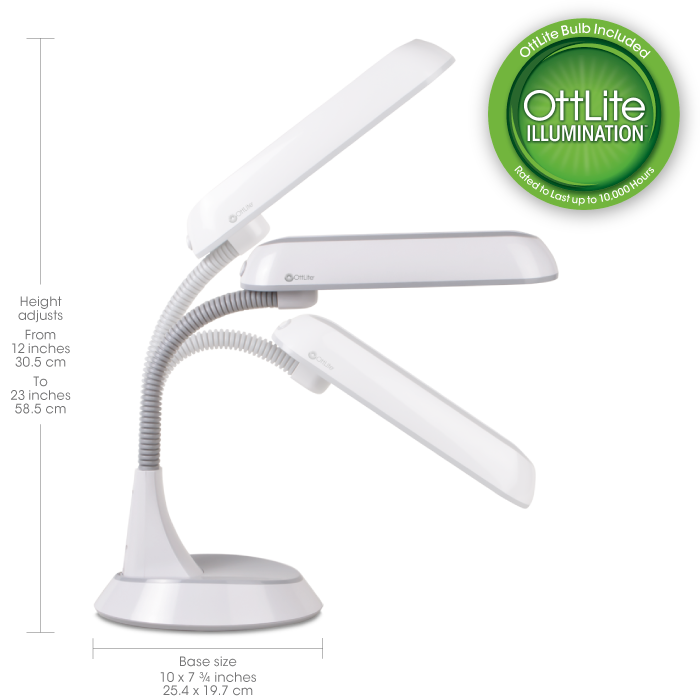 By delivering the right mix of brightness and contrast, OttLite Illumination lets you see colors, fine print and details with ease under this unique low heat, low glare illumination that helps reduce eyestrain.